The demand for non-invasive cosmetic procedures is constantly increasing, but the one treatment that has seen the most significant growth in popularity is non-surgical skin tightening. Skin tightening treatment stimulates the growth of new collagen in the treated areas and promotes the absorption of more collagen from surrounding, untreated areas. With the regeneration of natural collagen, patients immediately begin to notice smoother skin, with improved tone and texture. The effects are progressive and continue to improve over the next few months following treatment, as the skin’s natural stores of collagen are gradually replenished. There are plenty of topical products that promise to firm and tighten the skin, but when you want actual visible change, most experts agree that Radio Frequency (RF) energy is the best way to go. RF energy selectively heats the tissue at various depths below the skin’s surface, causing it to contract, which then stimulates the production of new collagen naturally. Since collagen is one of the building blocks of healthy, youthful skin that dwindles with advancing age, this regeneration of collagen and elastin deposits in the skin results in firmer, smoother and younger-looking skin. Venus Concept RF offers a range of systems that effectively deliver skin tightening treatments. 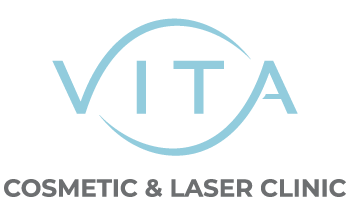 Whether you’re looking for an easy-to-use system to address non-severe conditions, or a device that can combine skin tightening with other technologically advanced treatments, the Venus Concept system offers a treatment to suit your specific needs. All skin tightening treatments are powered by radio frequency, the leading technology for anti-aging treatments. Venus Legacy™ is a highly advanced, non-invasive device powered by proprietary (MP)2 technology (a combination of Multi-Polar Radio Frequency and Pulsed Electro Magnetic Fields) and features cutting-edge VariPulse™ technology. It offers an advanced solution for challenging face and body aesthetic needs. Treatments are comfortable with little or no downtime and safe for all skin types. Platelet-Rich Plasma therapy (PRP) is a non-surgical, natural treatment that uses the platelets from your own blood to promote skin regeneration and stimulate the body’s healing abilities. These activated platelets secrete and release at least 7 different growth factors that enhance the natural healing process of the skin. During a PRP therapy treatment, a small amount of your blood is drawn into a sterile tube in the exact same manner as a standard blood test. The blood is placed into a centrifuge and spun to separate the plasma and platelets from the other blood components. After a few minutes, the PRP layer is removed and is ready to be reintroduced into the body. Using a very fine sterile needle, your medical practitioner will inject the PRP in and around the specific area to be treated. The production of new collagen induced by the PRP treatment will brighten, rejuvenate and re-hydrate the skin even after the first treatment. To experience the full effects of this pioneering technique, a course of 3 to 4 treatments is usually recommended. Microneedling treatment uses very fine needles to cause tiny punctures in the skin. These minuscule contact points or “micro injuries” encourage the body to create a wound healing response and renew the skin cells. As your skin repairs itself, collagen and elastin production is stimulated, resulting in an almost immediate plumping effect. Microneedling treatment can also help address other skin damage such as scarring, dark pigmentation, sun damage and the effects of aging. Microneedling is an effective treatment if you have darker skin, since it doesn’t involve peels or lasers, which can cause increased pigmentation. Treatments can be performed on the body as well as the face with minimal downtime. Optimal results are seen after a course of treatments; however, immediate improvement is noticeable after just one treatment.